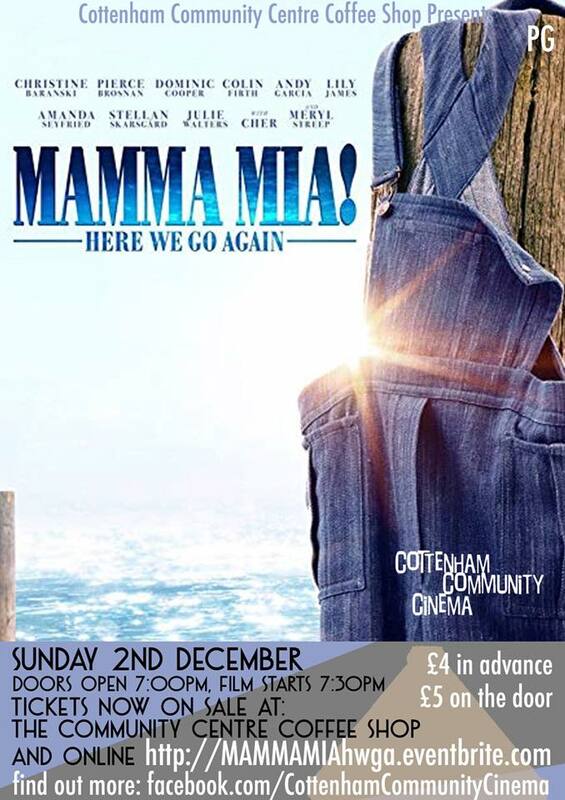 Sunday 2nd December 7.30pm (doors 7.00) MAMA MIA! Here we go again, Certificate PG, tickets £4 advance, £5 door here. Our Christmas treat for you is Mamma Mia here we go again. It’s another ABBA inspired musical extravaganza. Hopefully see you in the coffee shop for Community Cinema on Sunday 2nd December, doors open at 7.00pm, for a 7.30pm start.